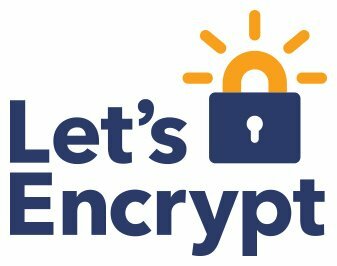 Let's Encrypt is a free, automated and open certificate authority (CA), run for the public's benefit to make encrypted connections the default standard throughout the internet. Previously, installing SSL certificates was costly and cumbersome. However, with Let's Encrypt, Ehost now offers free (Domain Validation) SSL with every website – no configuration required. An SSL (Secure Sockets Layer) certificate is a digital certificate that authenticates the identity of a website and encrypts information sent to the server. When installed on a web server, it activates the padlock icon and the https protocol, ensuring secure connections from your website to the web browser. Let's Encrypt use the same standard and TLS protocol as other other SSL providers. To date, Let's Encrypt has generated over 15 million active certificates with Chrome, Cisco, Mozilla and Facebook listed as some of their sponsors. SSL is essential for any website that sells goods and services or captures sensitive content, as it ensures that all information handled stays private and secure. Google takes online security seriously and considers SSL certificates on a website as a positive search engine optimisation (SEO) ranking signal. This means that if your website uses SSL you stand a greater chance of ranking higher than your competitors. Sign up with Ehost and get free SSL certificates included with every website – no installation or configuration required. While a Let's Encrypt certificate is only valid for 90 days, we take care of the certificate renewal so you don't have to. © 2018 Ehost Web Services | eHost.co.za. All Rights Reserved.